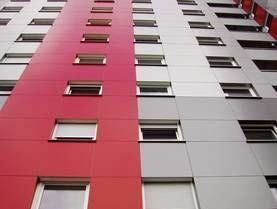 The student residences offer convenient and affordable accommodation with a variety of living arrangements, locations, furniture and facilities. 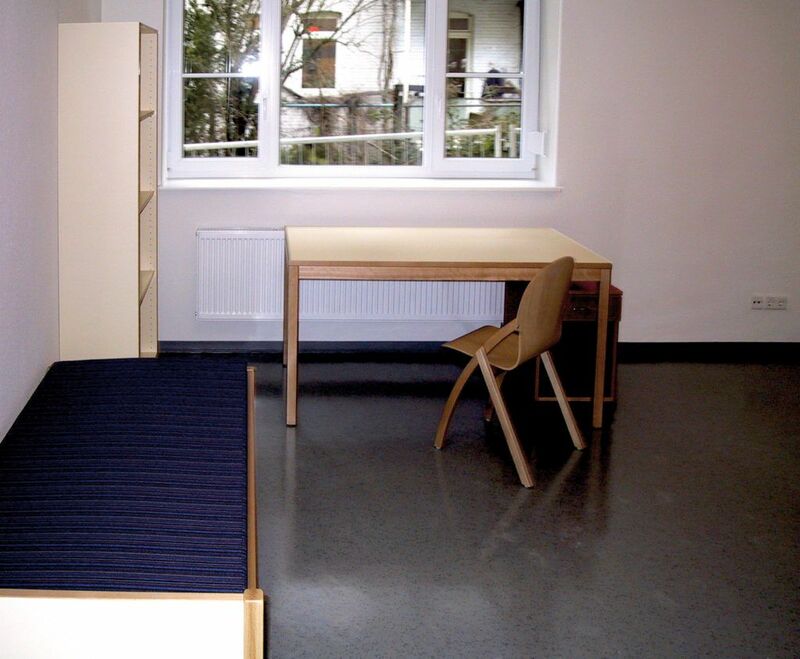 Students with child and students with disability can find suitable accommodation here as well. We highly recommend that you apply early so that we can take your wishes and requirements into consideration. LOCATION AND ACCESS In Ulm Oststadt (East End) near the recreation area Friedrichsau. Ca. 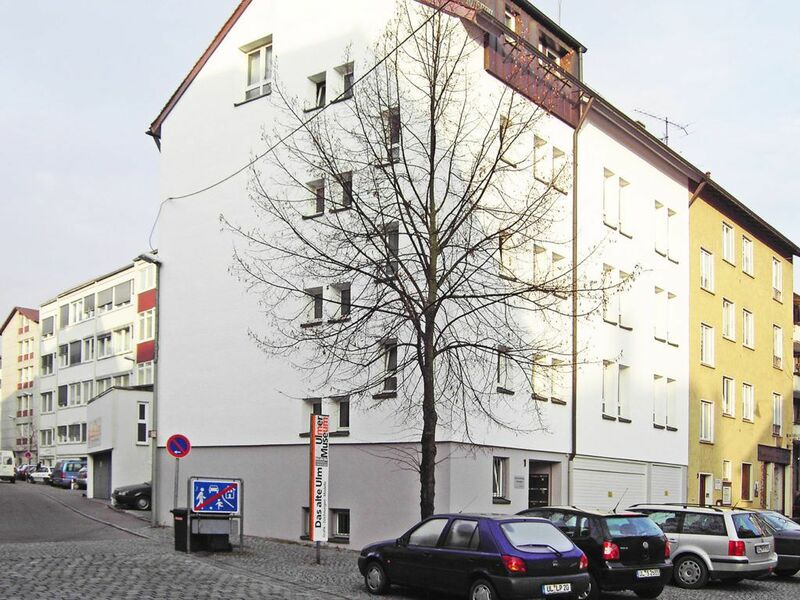 10 minutes walking distance from the city center and Ulm University of Applied Sciences. 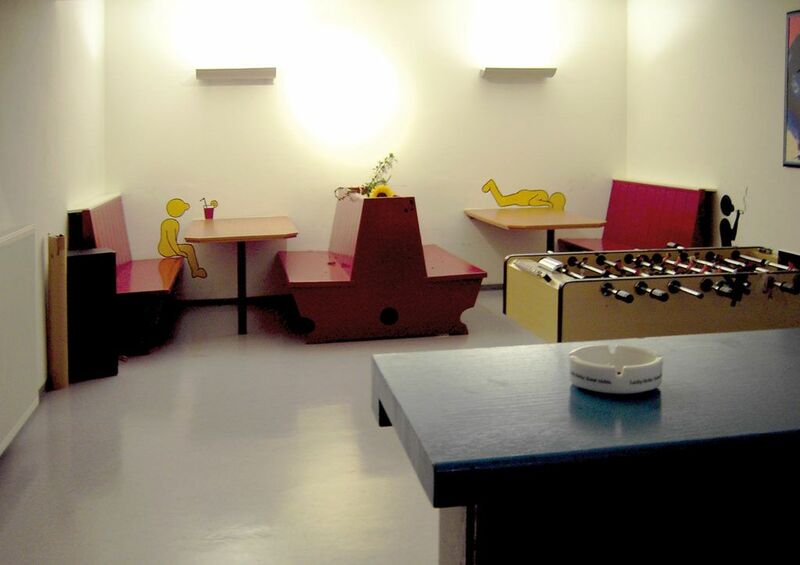 Each group home has a communal kitchen, sometimes with balcony. Washing machines, dryer and drying rooms. Fitness room, music room, piano, pool table, table tennis. 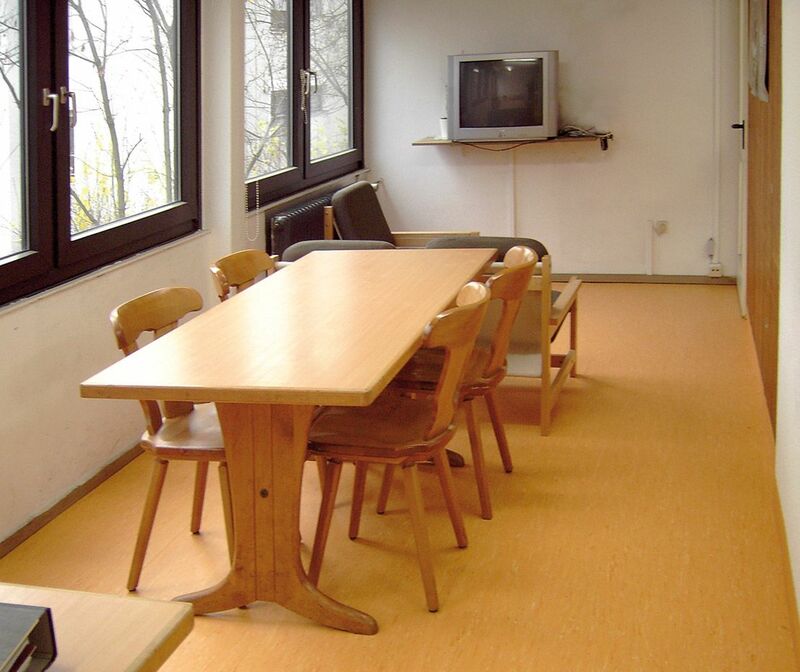 Large recreation room and bar. 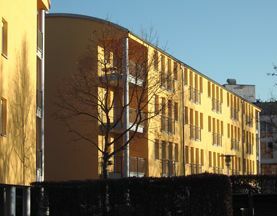 Designed in a U-shape with large courtyard. Wardrobe, bed, table, chair, mobile drawer cabinet. Sink or own bathroom, WLAN and cable TV access. all utilities included. Rental price effective from February 1, 2019. FURNISHINGS & EQUIPMENT ROOMS Wardrobe, bed, table, chair, mobile drawer cabinet. 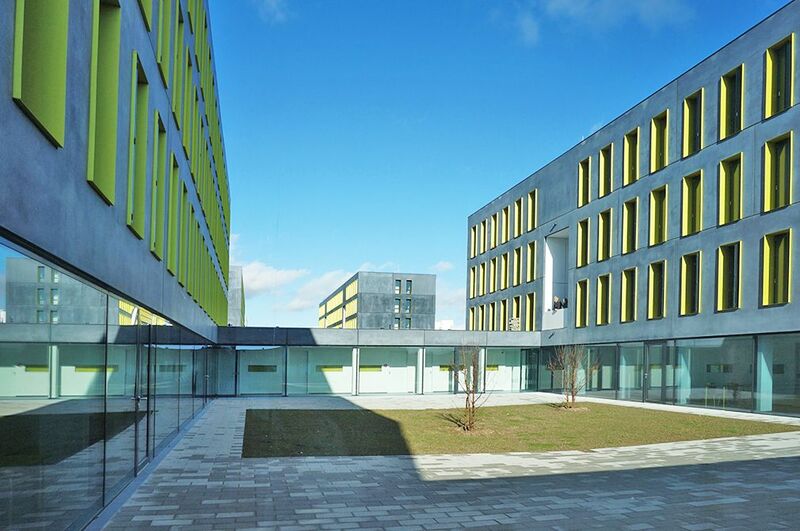 LOCATION AND ACCESS Ulm University of Applied Sciences is a 10-minute walk away; the university clinics at Safranberg and Michelsberg are in immediate proximity. Bus stops are right outside the house. LOCATION & ACCESS Next to the house there are some free parking The University of Applied Sciences is a 10-minute walk away; the university clinics at Safranberg and Michelsberg are in immediate proximity. Bus stops are outside the house. There are several parking spaces available free of charge. LOCATION & ACCESS The bus stop is in immediate proximity. 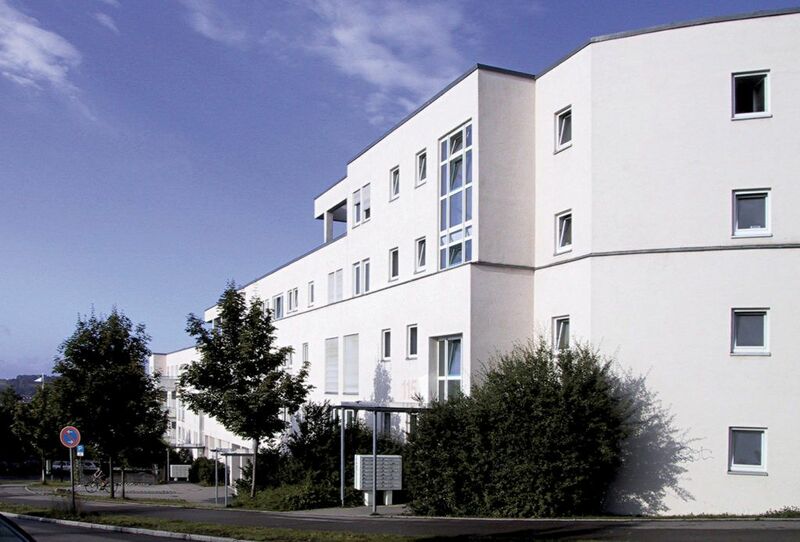 Ulm University of Applied Sciences and the city center are a 10-minute walk away. 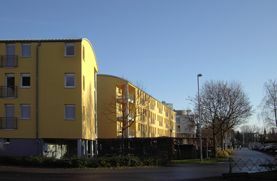 15 apartments (ca. 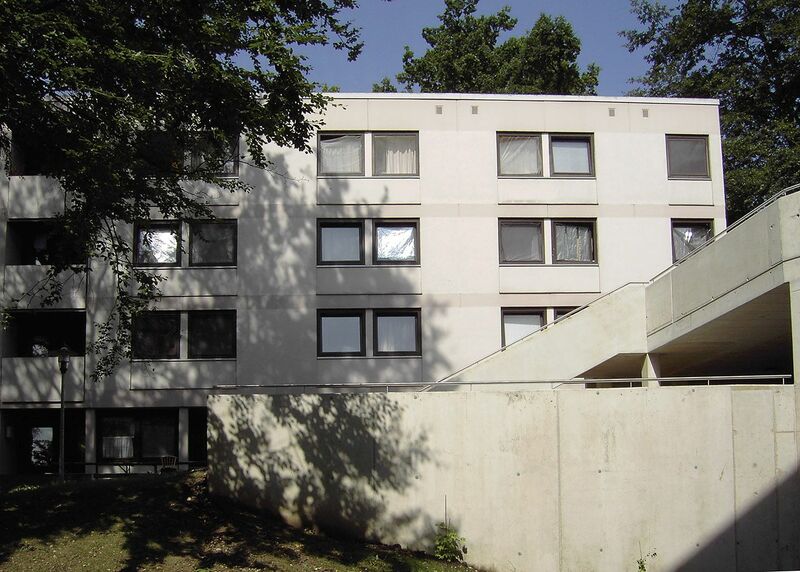 22 - 28 m²) with shower, toilet, sink and kitchenette. Internet access is available through the university data Center. 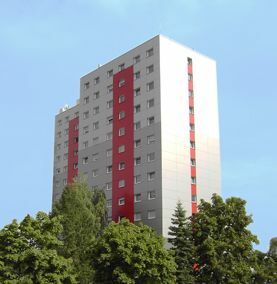 FACILITIES HOUSE 20 shared flats for two (approx. 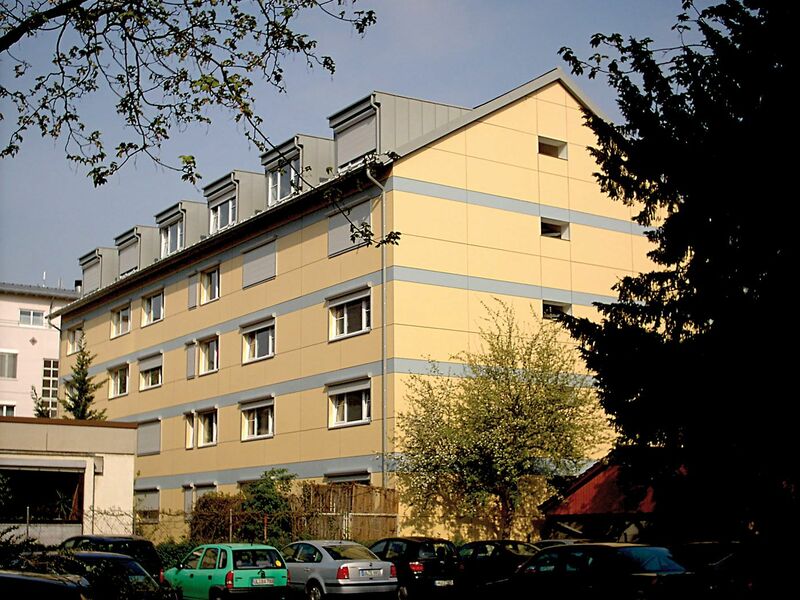 14–17 m²), i.e. 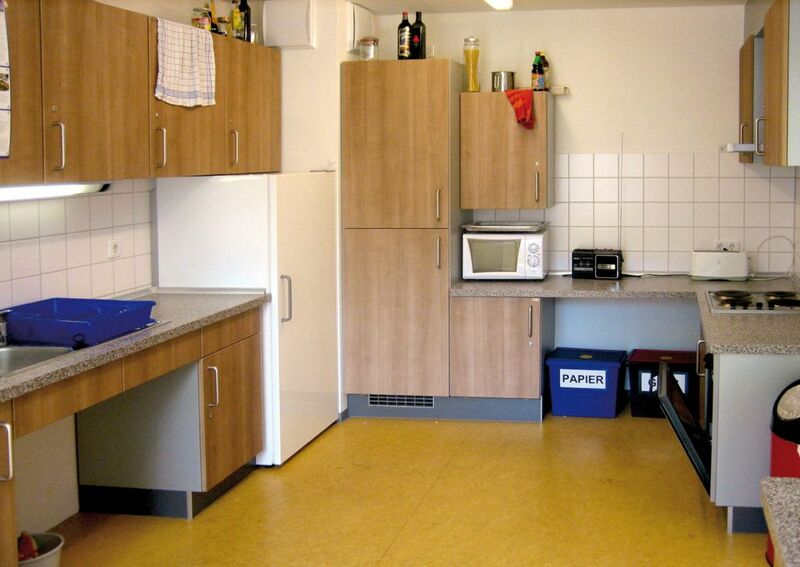 two residents share a kitchenette, bathroom with toilet and sink. 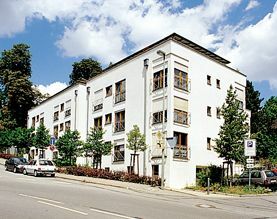 15 single apartments (approx. 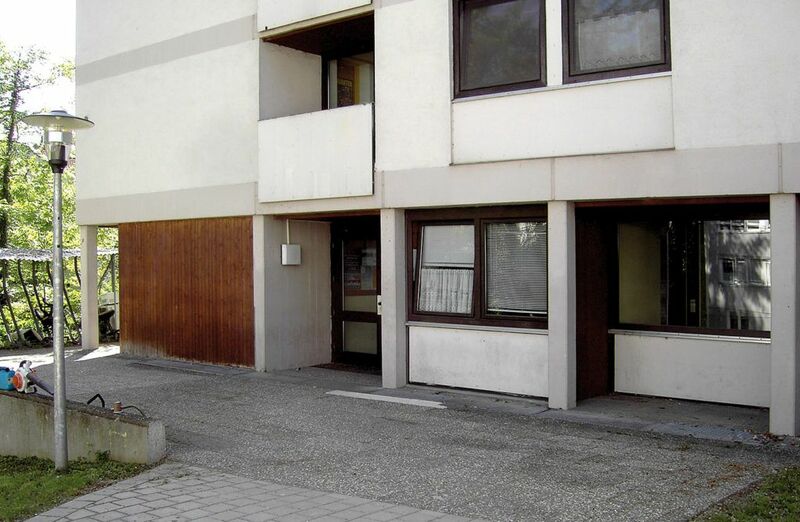 22–28 m²) with bathroom, toilet, sink and kitchenette. 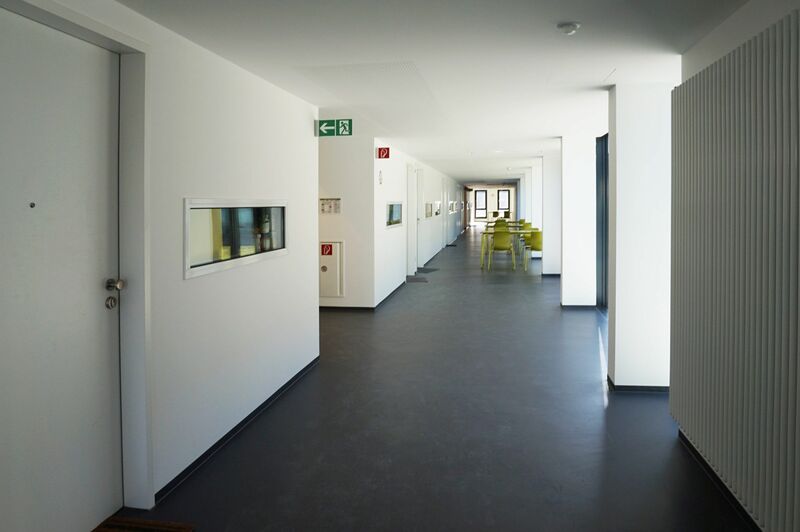 Internet access is available via the Communication- and Information Center (kiz) of the university. LOCATION & ACCESS Very close to the city. 20 minutes to Ulm University and Ulm University of Applied Sciences by public transport. PARKING There are 6 parking spots wich can be 6 parking spaces outside the house for €10. 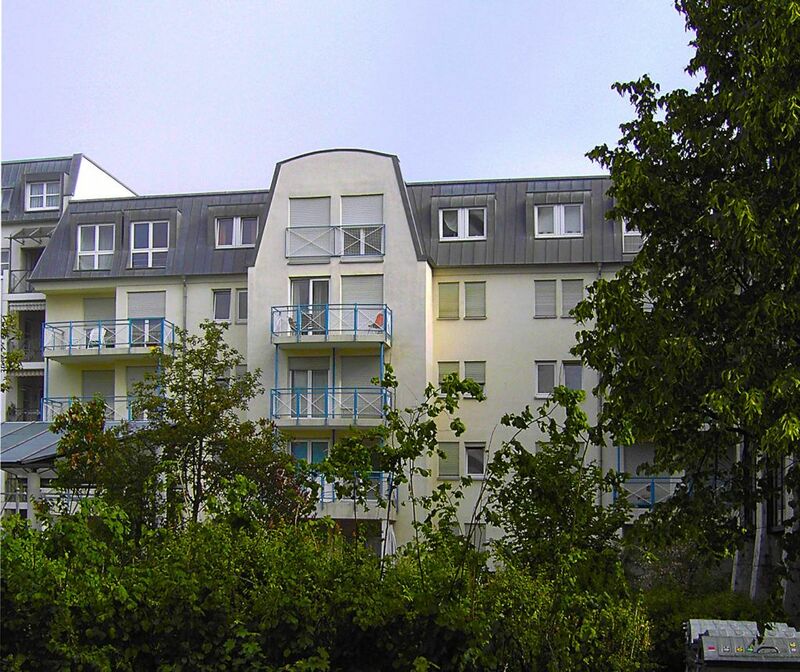 You can also get a resident parking permit (Anwohnerparkausweis) from the City of Ulm. 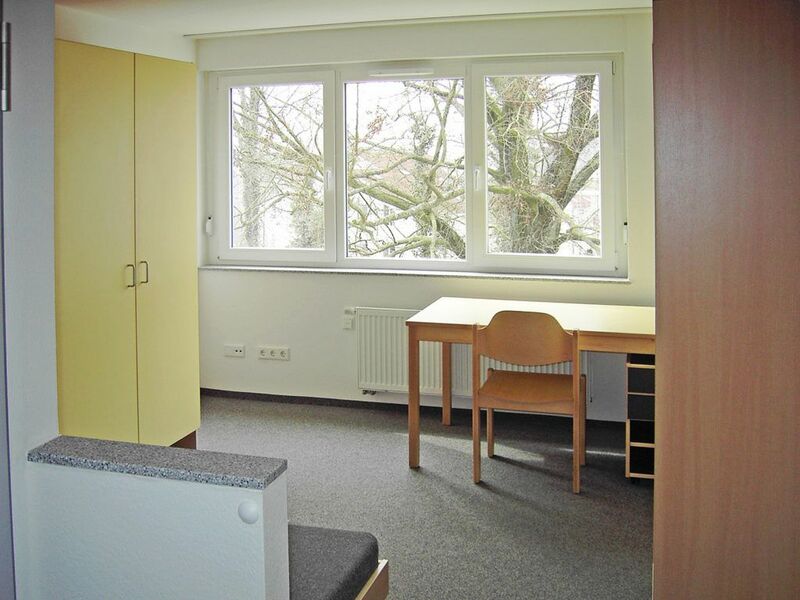 LOCATION & ACCESS 20 minutes to Ulm University and Ulm University of Applied Sciences by public transport. Bus stop very close by. PARKING Hard to find a parking space, just like anywhere in the inner city! 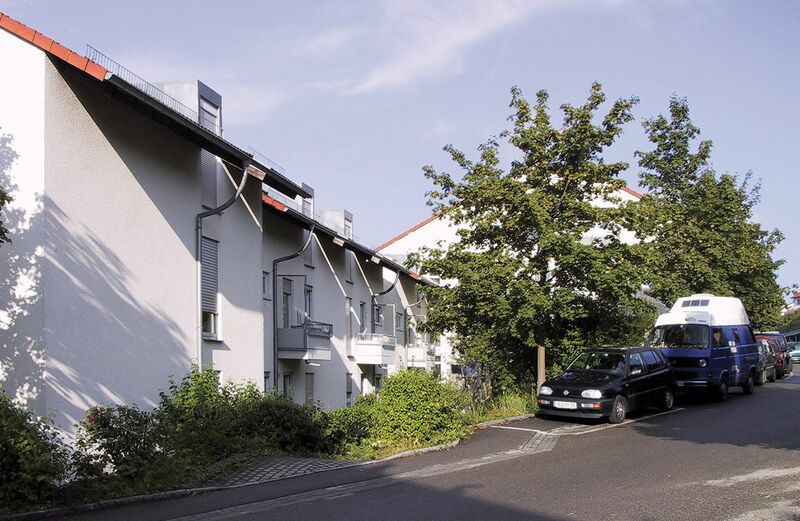 Tenants with vehicle need a resident parking permit from the City of Ulm. FURNISHINGS & EQUIPMENT ROOMS The rooms are unfurnished! 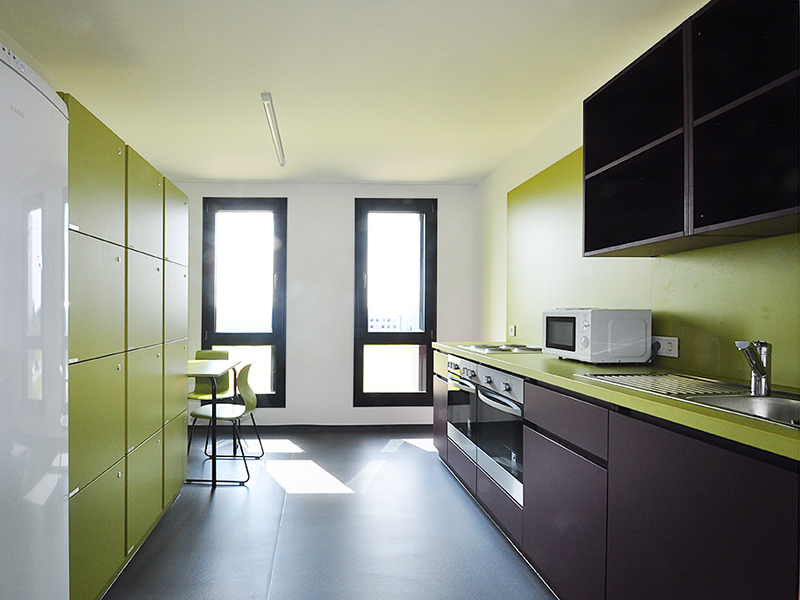 Kitchens are equipped with sink, oven, stove, refrigerator and cupboards. 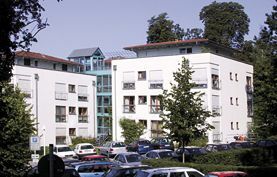 Every unit has rooms with a balcony or terrace. 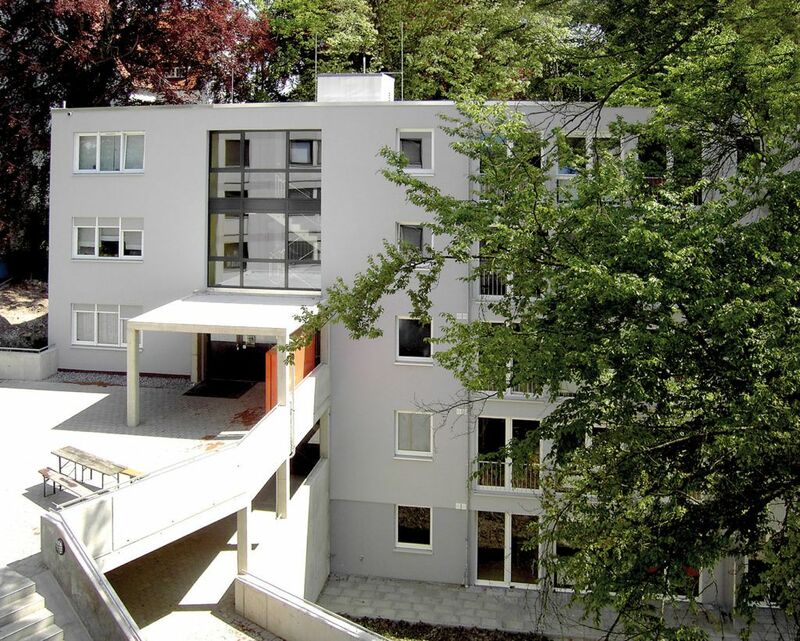 LOCATION AND ACCESS This residence is located on the Eselsberg near the university. PARKING Because of the shortage of parking space tenants can either lease a underground parking slot or agree to bring no vehicle. LACATION AND ACCESS Centrally located, near downtown but quiet. 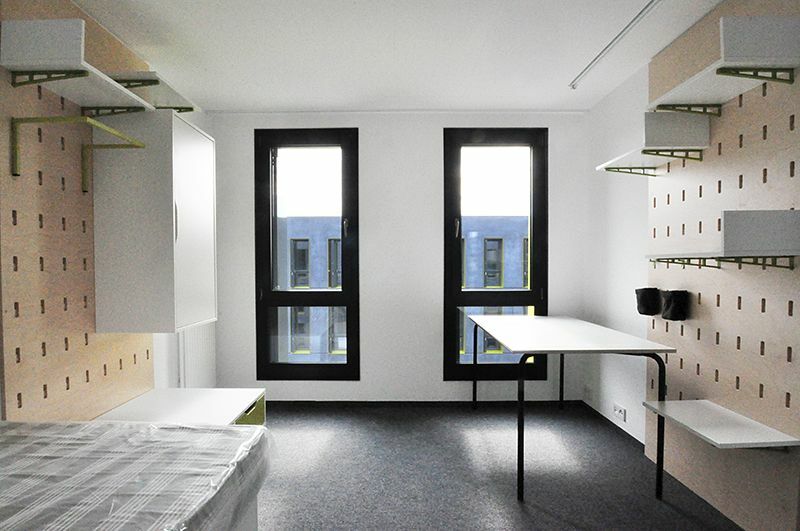 FURNISHINGS & EQUIPMENT ROOMS Furnished; the furniture was designed by students of the HfG Schwäbisch Gmünd specifically for this student residence. WLAN access is available. 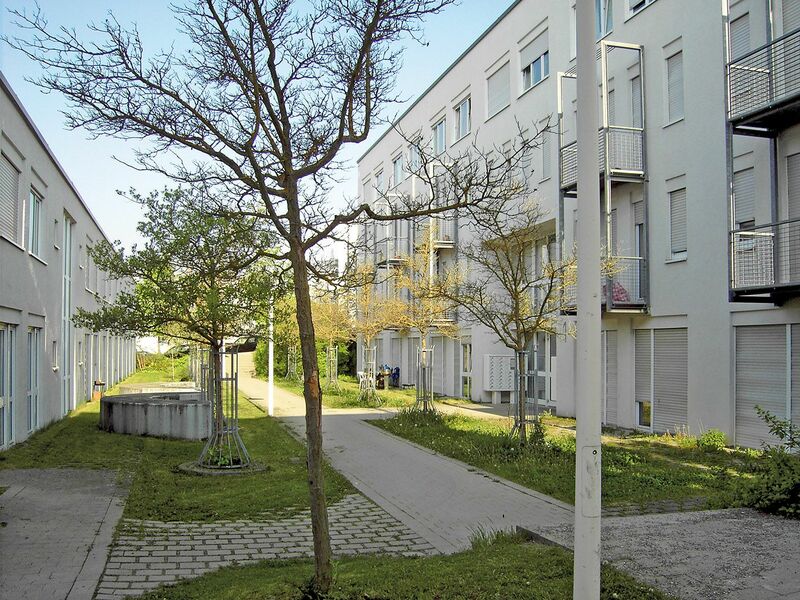 LOCATION & ACCESS In pristine location on the campus of Ulm University at Oberer Eselsberg with views of the city. 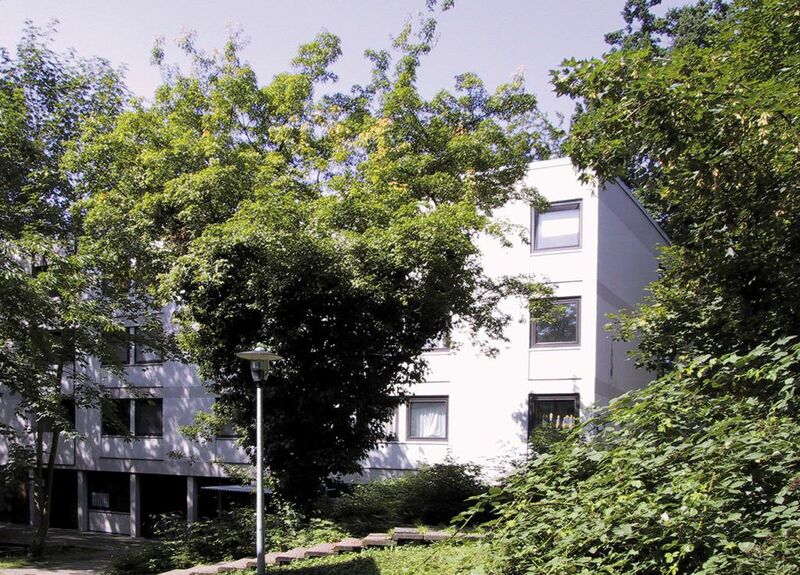 The university is only a short walk away. Great connection to the city with frequent buses. 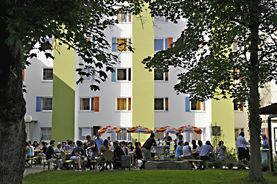 For student residence rooms in Aalen please contact the Jugendwerk Aalen. 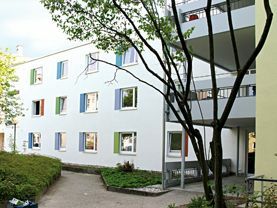 LOCATION & ACCESS The student residence is located close to the market place and near the hotel "Kapuzinerhof". The university is only a 5-minute walk away. FACILITIES HOUSE 278 single rooms with vestibules in the form of double units (sharing one shower, toilet and sink). FURNISHINGS & EQUIPMENT ROOMS Wardrobe, bed, table, chair, shelf. WLAN Access is available. LOCATION & ACCESS Shops are close by. 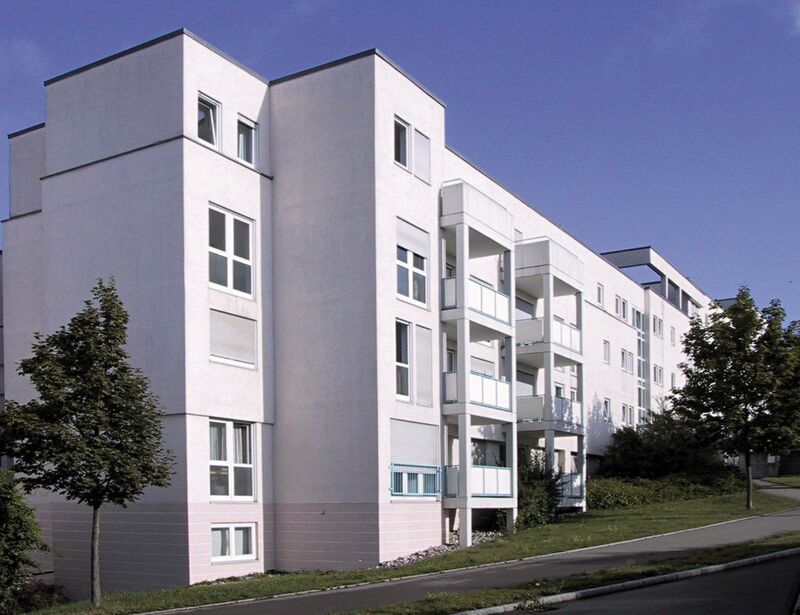 The PH Schwäbisch Gmünd is only a 15-minute walk away.